Peyton Manning and the Denver Broncos are favorites to win the Super Bowl at 11/4 odds at Bovada, because they are really good. But are they 10.5 points better than the San Diego Chargers? Maybe not. First, you're an idiot if you don't bet the over in this game. Just bet the over. You don't need any in depth data to realize that it's a good idea to do that when the top two offenses in the league go head to head. Bet the over and you will win money, it's that simple. Last week was apparently the week that everyone decided that Peyton Manning isn't so bad in the cold, when he led a Broncos offense that hung up 51 points on the hapless Tennessee Titans. 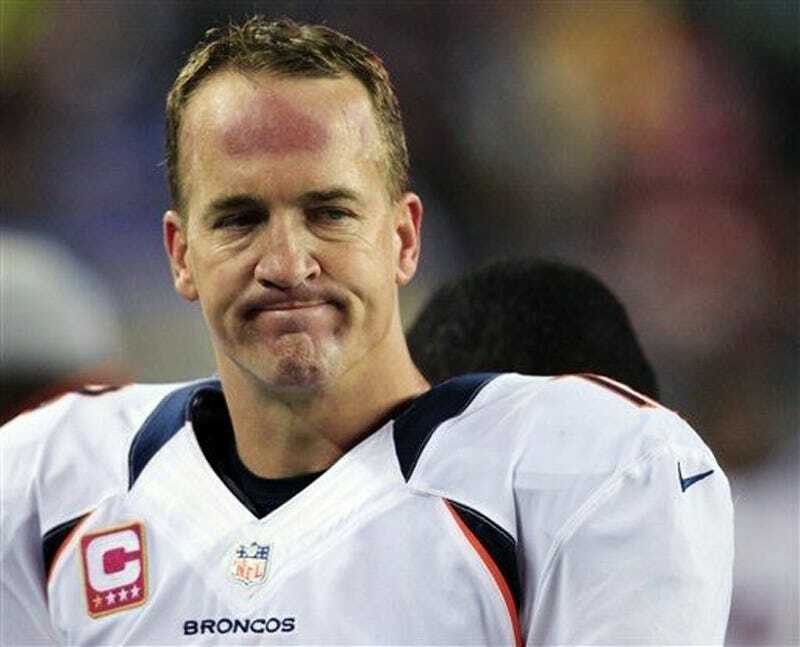 If Denver fails to cover this week, it surely won't be because of Manning. That's what makes it so tempting to put money on Denver in this game. And can we just have a moment for how tempting it is to take Denver in this game? All they do is score points and they're at home and Peyton Manning exists. Isn't that so tempting!?!?!? Denver enters tonight's game tops in the league in DVOA on offense, first in passing and a surprisingly good eighth in rushing, while San Diego is last in the league in DVOA both against the pass and run. Their 6.31 yards per play on offense is, predictably, the league's best. In other words: the Broncos are going to put up lots of points as usual. San Diego, though, has a great offense in their own right, ranking second in DVOA overall and with their pass offense. In fact, Phillip Rivers is averaging .01 yards per pass more than Peyton Manning this season, with Rivers throwing the ball for 8.40 yards per pass on the season. San Diego's 6.09 yards per play is third best in the league behind just Denver and the Philadelphia Eagles. While running the ball is nowhere near the focal point of each team's offense, both teams are perfectly serviceable in that category. Denver and San Diego rank 22nd and 23rd in the league, respectively, with the Broncos rushing for four yards per carry and San Diego rushing for 3.9 yards per rush. Granted, you shouldn't expect either of these teams to rely on their running games in this one given the proficiency of each team's passing offense. Defensively, there is a huge discrepancy between these two teams, as the Chargers rank last in DVOA in overall defense as well as pass and rush defenses. Denver sits in 16th overall, 16th against the pass and eighth against the run, which may not be good enough to stop the Chargers passing game. All in all, this game is going to be high scoring, and has all of the makings of a shootout. San Diego lost by eight the last time these teams played, and I can't see the margin being much more than that in this game given how dumb it is to bet on double digit favorites.